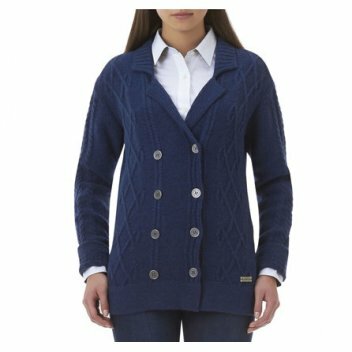 Womens Barbour Bavington Lambswool Knit. Jacket style knit, can be worn as an outer piece or layered. Military inspired.